Deep within the heart of the famous Dolomites mountain range sits the stunning resort of Alpe di Siusi. Known for being the highest alpine meadow in Europe, the resort is not only a place of great scenic beauty but offers guests the opportunity to try out a range of exciting activities in one of the most sought after investment spots in the area. Alpe di Siusi is a friendly resort, where guests and locals share a love of nature, the outdoors and most importantly, snow! 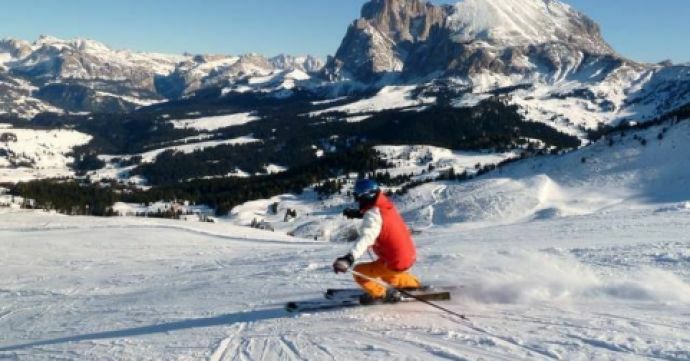 Alpe di Siusi provides 60 km of slopes for the whole family to enjoy - catering to a wide range of capabilities, from those of us who are just learning to those who are able to show off! 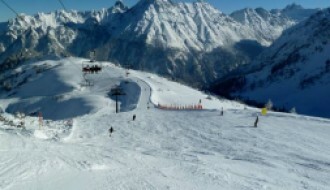 There are 14 kilometres of easy slopes, 45 kilometres of intermediate slopes and finally, a 1 kilometre downhill slope for experts. 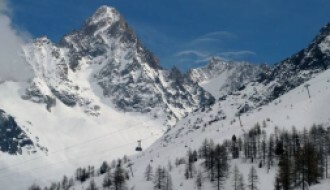 Moving from one area of the resort to the other could not be easier; there are 23 modern ski lifts taking guests to elevations between 1,669 and 2,220 metres, offering not only the opportunity to partake in snow sports, but to enjoy the stunning views of the South Tyrol province whilst doing so. If skiing isn't your thing - not to worry! Alpe di Siusi boasts a wide range of activities catering to all tastes. In addition to skiing, guests can enjoy tobogganing, snowboarding and even snowshoe hiking across the stunning, snow-capped mountains. Each year, the winter season runs from early December to the start of April, giving you plenty of time to hit the slopes. In the summer months, guests can soak up the sunshine whilst mountain biking, hiking, attending live music events and exploring local history and culture. Alpe di Siusi is not only a picturesque location, but it has a unique and authentic culture and history that makes it stand out from other resorts. Those wishing to get a better insight into the area are encouraged to explore the historic neighbouring villages of Castelrotto and Sciliar, stroll down the Fiè allo Sciliar (farm trail), and visit vineyards, groves and old farms. Those wishing to cool off in the summer months can take a quick dip in the nearby Laghetto di Fiè lake, one of the cleanest lakes in Italy. A trip to Italy is incomplete without sampling delicious and authentic Italian food, and Alpe di Siusi certainly delivers in exciting the taste buds of all who visit. With over 50 eateries to choose from, guests are truly spoilt for choice - though Ristorante Ciampinoi and Albergo Piz Seteur are favoured by both locals and visitors alike. Those seeking to buy property in Alpe di Siusi are truly spoilt for choice - with a wide range of luxurious properties on offer from newly built modern apartments to more traditional chalets. What's more, each year Alpe di Siusi continues to expand, with new builds on the way to accommodate for the growing number of visitors. 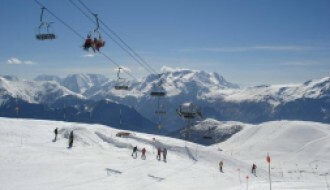 Recently there have been developments in both a new ski slope and a high-speed chairlift, expanding the resort whilst providing greater links to both other resorts and the pistes themselves. Alpe di Siusi is a truly unique resort, catering to families and athletes of all ages, meaning that there is great investment potential in the area. In the winter months, guests are able to enjoy a mild climate with generous sunshine and plenty of snow! Alpe di Siusi's historic snow report for the 2018 season revealed a total snowfall of 124cm over 13 snow days. As a result, the average base depth sat at 18cm with a maximum depth of 46cm, whilst the summit had an average of 60cm and reached a high of 128cm. The resort is also able to produce artificial snow to supplement the already generous snowfall and all of the slopes have snow making capabilities. In the summer months, guests can enjoy comfortable temperatures of around 14 - 16°C and even more sunshine - giving them plenty of opportunity to make the most of the stunning resort. For up-to-date snow and weather reports, take a look at our resort guide here. Alpe di Siusi is conveniently located with plenty of options for those travelling to the resort to arrive by train, car, bus or plane. The nearest airport and train station, both located in Bolzano, are just 30km away from the resort itself. The area has also developed its own environmentally-friendly transit systems to transport guests to the resort to better preserve the natural beauty of the area.